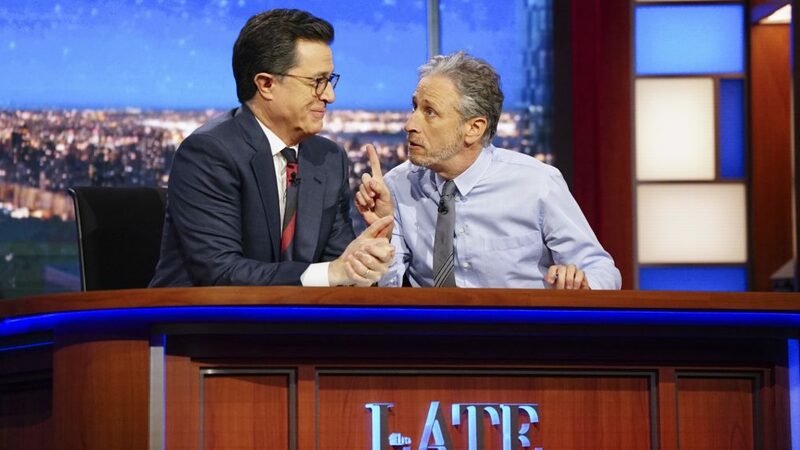 The Late Show with Stephen Colbert — Jon Stewart, Stephen Colbert. If you love you some Trevor Noah, but are still nostalgic for the good old Daily Show days, you won't want to miss The Late Show with Stephen Colbert on Tuesday, May 9th. To celebrate his 20th anniversary in the late-night universe, Colbert will welcome his former Comedy Central comrades Jon Stewart, Samantha Bee, John Oliver, Ed Helms and Rob Corddry for a special evening of comedy and conversation. And probably a few high-fives, to boot. Oliver and Bee moved on to their own successful late-night talkers—HBO's Emmy-winning Last Week Tonight with John Oliver and TBS' Emmy-nominated Full Frontal with Samantha Bee—while Helms and Corrdry turned their attention to films and scripted series. And if you're wondering how Colbert's former boss, Stewart, is keeping busy, he signed a four-year production deal with HBO.